Charles James Lane moved to Newtown from Paddington in 1874. He lived at 4 Welling Terrace, Wellington Street, Newtown. 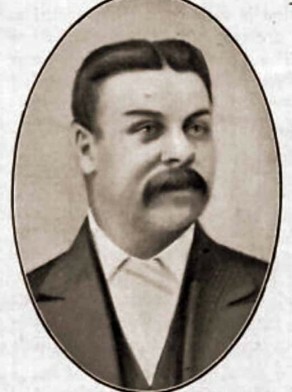 He was married in 1866 to Susan Horton who died in July 1911. They had 11 children, many of whom predeceased them. Charles Lane was a Master Painter. He traded at 187 King Street, Newtown. Until 1878 when they dissolved the partnership, he was in business with fellow Newtown alderman Joseph Jolly. In 1885 he painted and renovated the Newtown Town Hall. He was declared bankrupt in 1890, when he resigned from the council. The debt was discharged in 1891. Charles Lane was a justice of the peace (JP). Lane was a prominent Mason, and was also a member and Grand President of the United Ancient Order of Druids. He was founder and captain of the first Volunteer Fire Brigade in Newtown in 1875 and a member of the Newtown Cricket Club. Charles Lane was an alderman on Newtown Council in 1886-90, representing O’Connell Ward. He was mayor in 1890; but resigned in October 1890 due to bankruptcy. Although he stood for election again after the debt was discharged, he was not re-elected.